When you start to feel like your tastes have shifted, it is important to discuss these new interests with your designer. Without word from you, your designer will continue to use the original style for your project. Even if you just want to play up a feature of your existing design choices, telling your designer can be the difference between selecting the one option they provide that fits your new focus or having a whole selection of items to choose from that pull in the style you want. Timing is key with this step; the sooner you express your new tastes, the more time your designer will have to pull them into your design. If you hold back, you could find yourself regretting your design choices later. Communicating your concerns and interests early is the safest way to ensure your designer is working to give you the best version of your home they can. You and your designer can go through the list of furnishings you have planned or have already ordered and determine which pieces might not fit in with your new tastes. Can the items you were planning to purchase be altered slightly to fit with the new style? If you have placed an order for furniture that you just cannot picture meshing with your new tastes or that you desperately want to exchange for a piece that really reflects your new style, discuss which pieces would be best to work with, which ordered items can be canceled or tweaked, and which items are unusable in your design and need to be purchased again. If, for instance, you had recently placed an order for a sofa that won't fit your new style, your designer could check the status of that order to find out if you can cancel it, change the fabrics or finishes, or if you need to purchase a another sofa. While it is important to change those items that just won't fit in, many of your purchases may be neutral enough in style that they can be adopted into your new design. Once you and your designer have finished sorting through the items you already had prepared, you can work with them to fill your home with items that better reflect your new style. You can use electronic projection systems like CAD to model the potential changes to your current design. This will allow you to explore and select a range of new items that would fit your new taste. If you are somewhere in the middle of your redesign and already have several pieces of your furniture, you and your designer can work on selecting and ordering items that can create a balance between the two styles. If your new taste developed late in the design process, you might not have been able to adjust many of the purchases from your original design. If you have several pieces of furniture from before you changed the design, consider making certain places in your home reflect the new style and other places maintain the older look. 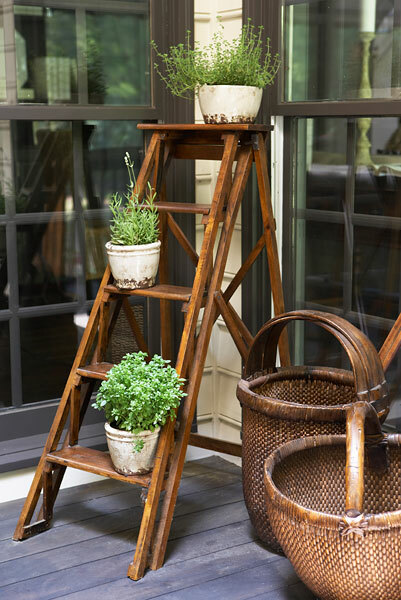 Using some of these recently purchased items in your home is easier on the budget than replacing all of the pieces at once. Instead, you can try moving smaller items like end tables from a room that is going to reflect your new tastes to other rooms. At the end of this process, you may still have a handful of pieces that don't fit your new design. Smaller items, like lamps and throw pillows, that don't fit your taste can be replaced right away. They typically do not seriously affect your budget and can have a big impact on your room's look. Larger pieces, on the other hand, can be more costly to replace and can usually be dressed to fit the style of your room until you can replace them. Over time, as you replace the larger pieces that detract from your new design, consider selecting neutral pieces in their place. This would guard against having to replace these again if your tastes change a second time. The more expensive neutral pieces wouldn't need to be changed again. 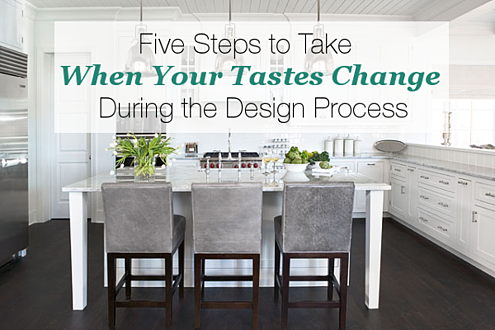 We hope you find these tips helpful if your tastes change in the process. If you need more help getting a design back on track, contact one of our designers. What other concerns do you have about the design process? Looking for some design ideas for fall? Check out our Fall Design Guide.